The success of Duo Complice has led Christofle to introduce different seasonal colours with a one-shot production. 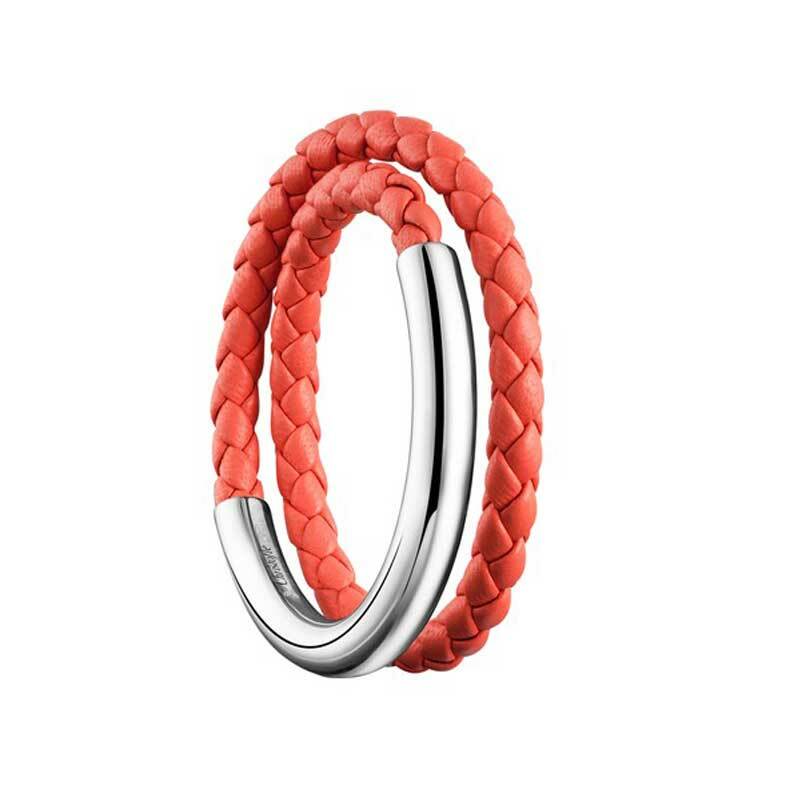 For Spring 2016 it has launched the same idea but with multi strands of leather in Indian Rose. Turquoise, beige and coral in the wide band.